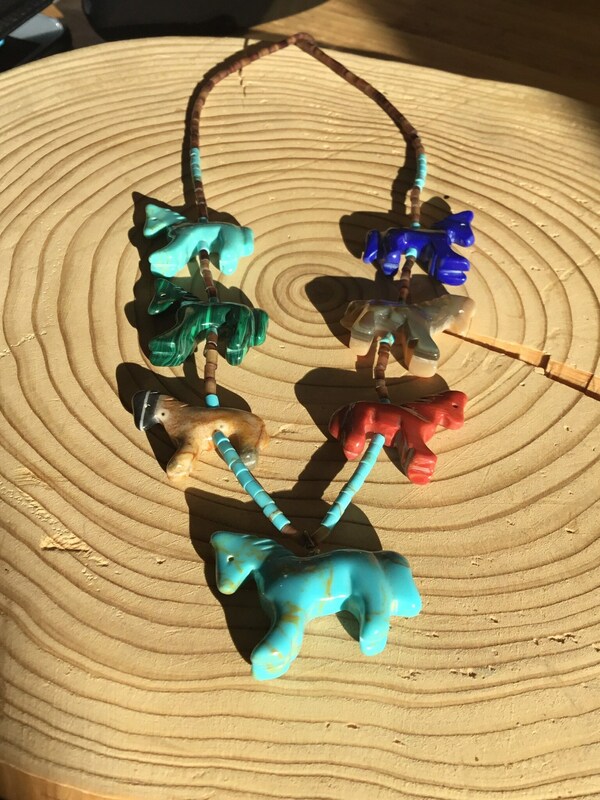 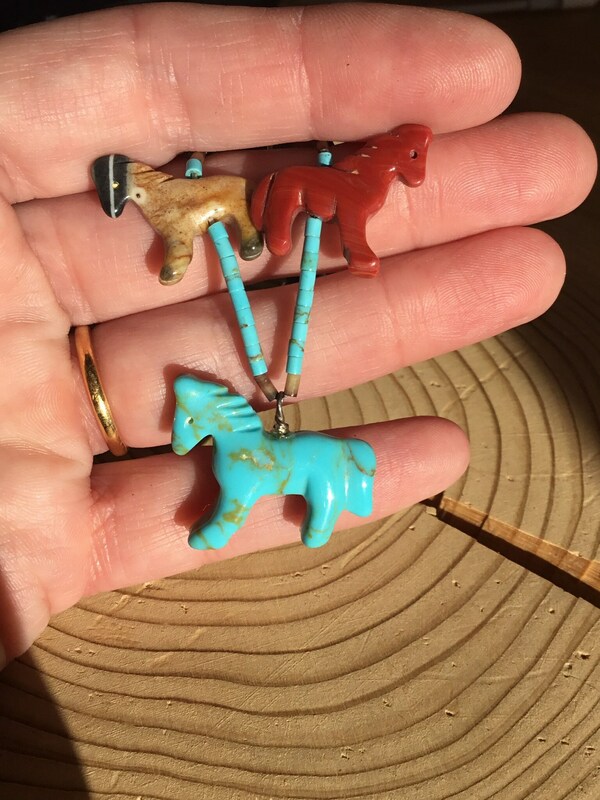 These Beautifully Hand Carved Horses are in American Kingsman Turquoise, With Agate, Mother Of Pearl, Coral, Lapis Lazuli and Malachite Sculptured by Well Renowned Native American. 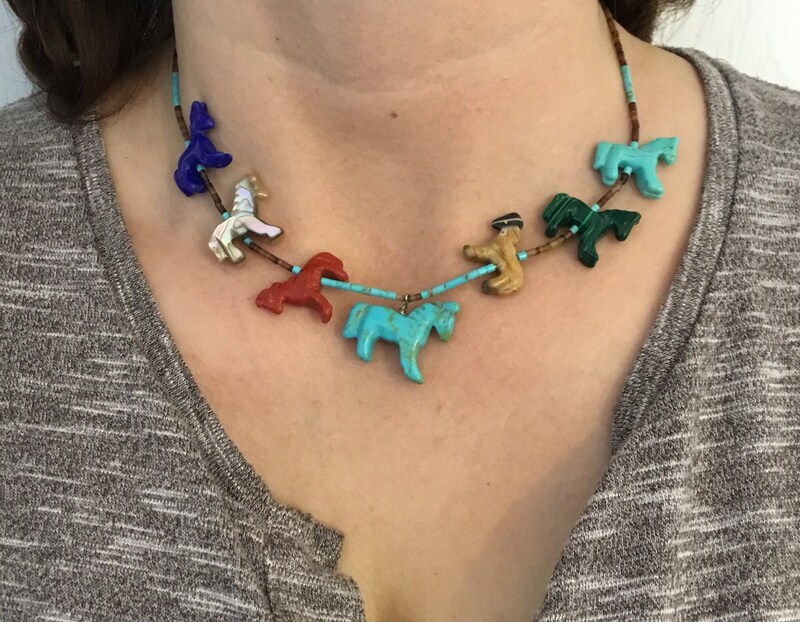 I Have Strung The Horses With Turquoise and Agate Cylindrical Beads In Between on Silk With Sterling Silver Fittings. 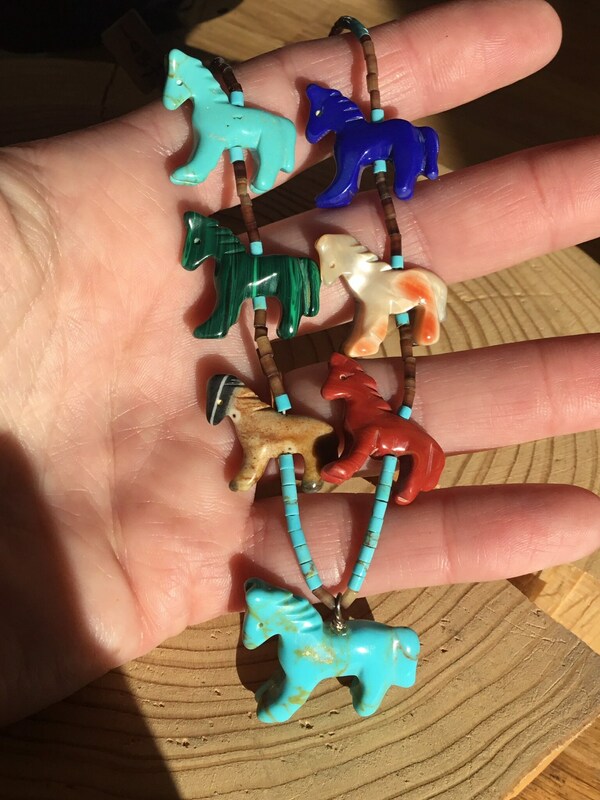 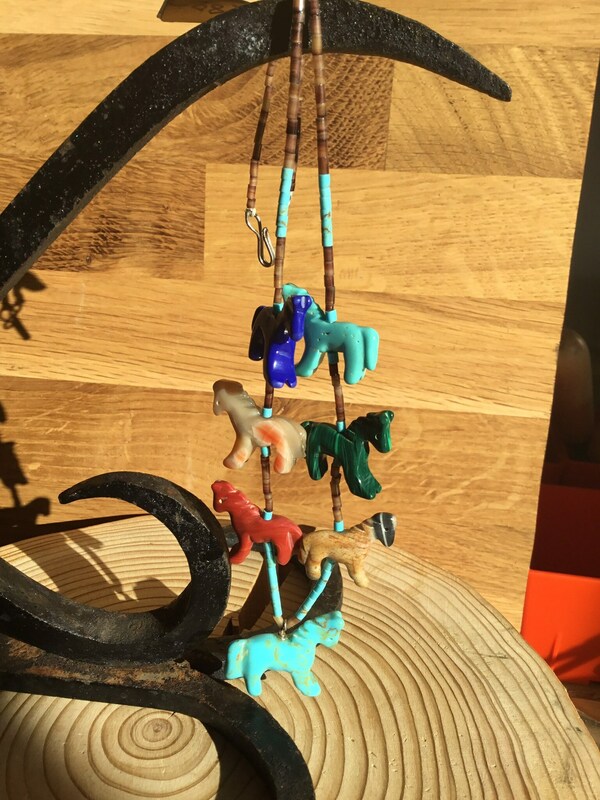 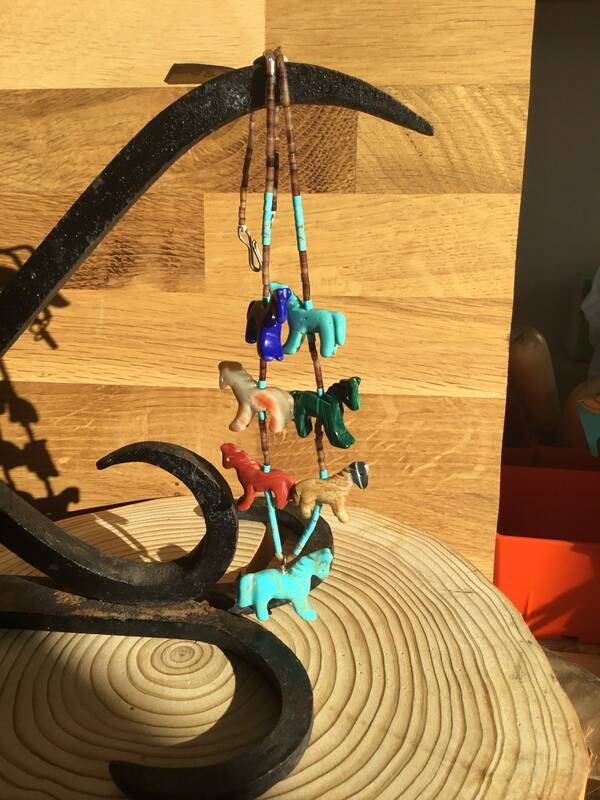 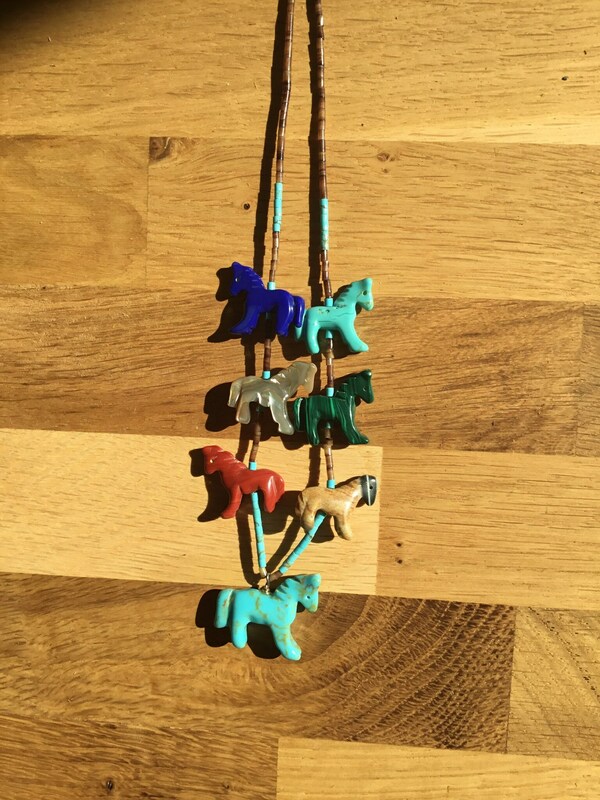 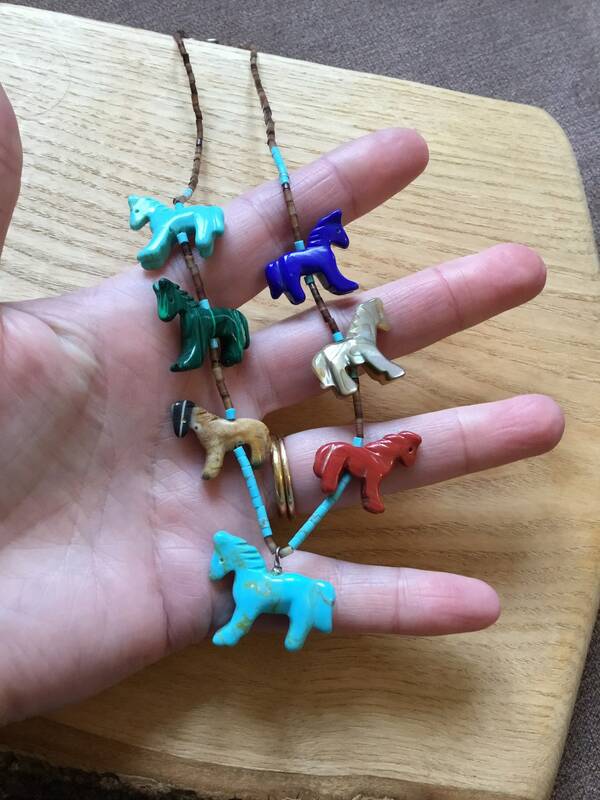 The Horses Within The Necklace Measure Approximately 19 mm Tall, 21mm Wide and 5 mm Deep, With Centre Turquoise Horse Measuring Approximately 22 mm, 29 mm Wide and 7 mm Deep.